Those providing SD-WAN solutions have been telling resellers for most of this year that it is a technology that the channel needs to get involved with as it starts to ramp up. Cisco and IDC have been among those that have already higlighted the growth prospects in the market and the analyst house is adding more weight to the arguement highlighting the service revenue opportunities. IDC is expecting SD-WAN infrastructure and services revenues will see a compound annual growth rate of 69.6% to hit $8.05bn by 2021. Digital transformation is driving the growth in SD-WAN along with a rise of cloud-based SaaS business applications and a wider acceptance of SDN in general. "SD-WAN is not a solution in search of a problem," said Rohit Mehra, vice president, network infrastructure at IDC. "Traditional WANs were not architected for the cloud and are also poorly suited to the security requirements associated with distributed and cloud-based applications. 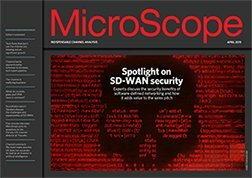 And, while hybrid WAN emerged to meet some of these next-generation connectivity challenges, SD-WAN builds on hybrid WAN to offer a more complete solution." The predicitions of services growth comes on the back of a market analysis from IDC that noticed a growing number of service providers "jumping on the bandwagon" to take a slice of a market that it expected to grow at an average pace of 92% per year to hit $2.1bn by 2021. The options for resellers continue to multiply with NTT Communications rolling out a global SD-WAN platform last month and security player Zscaler also expanding an ecosystem to support the technology, including Riverbed, Nuage Networks, InfoVista and Talari Networks. “Today’s cloud applications break traditional hub and spoke architectures. Apps like Office 365 and Azure require direct Internet connections to deliver a fast user experience, and organisations are turning to SD-WAN to provide those direct connections in their branch offices,” said Punit Minocha, Zscaler VP of business and corporate development.